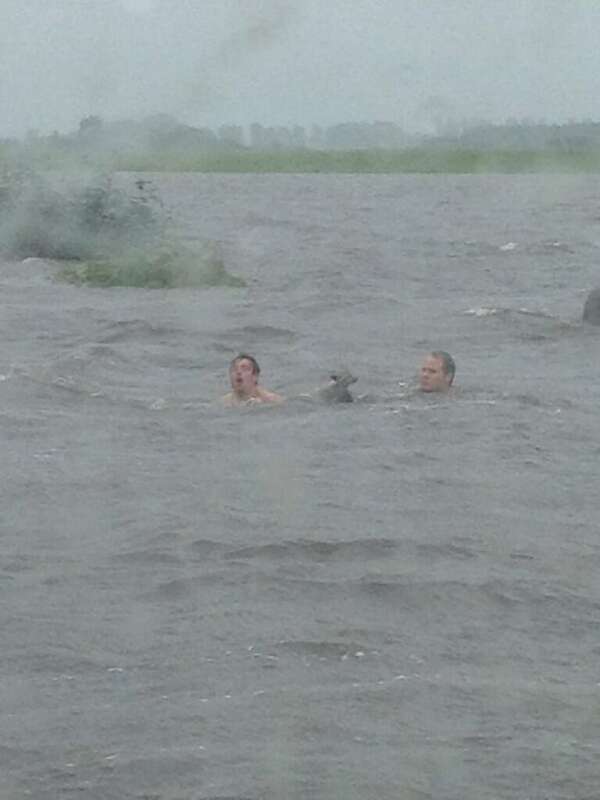 Two metres of water didn't stop a couple of Saskatchewan men from swimming through a field to save some stranded wildlife. Colin Graham lives near the village of Welwyn, about 250 kilometres east of Regina, which was hit hard with rain on the weekend. Some areas got 100 to 200 millimetres. "All of our crops here are under a lake pretty much," Graham said. Since this spring, Graham has been watching a family of foxes on his property. "[They] have been sitting out on this rock pile near our house for all spring," he said. "My sister wondered what happened to the foxes, so we drove out there and there was just one rock sticking out of the top of the water." On top of that rock, Graham noticed one young fox stranded on what he estimated was about eight feet of water. "One guy I was with, Jordan Olson, suggested that we should probably just go out there and swim and get it," Graham said. 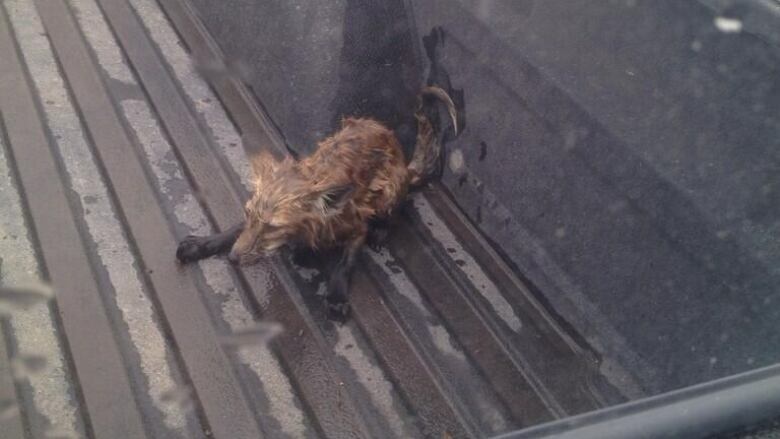 While the fox stranded on the rock pile was probably about 75 metres away, Graham and Olson dove in rescue the animal. "When I first got there, he had a little bit of energy and he bailed off the rock and into the water and tried to swim away," Graham said. "But I was able to catch up to him." Graham said the fox was not a lot bigger than a kitten. "We put it in the back of my truck and our house is right close there so we took it home, dried it off, and got it warmed up," he said. "Then we were driving later and we saw the mother out there so we took him back." "They're reunited," Graham said, laughing. "I saw them running around the other day."